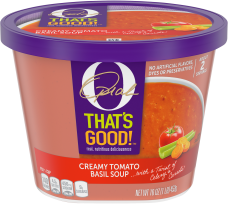 O That's Good! 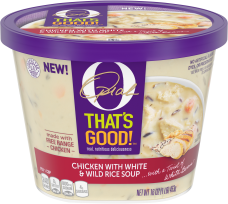 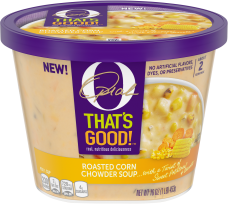 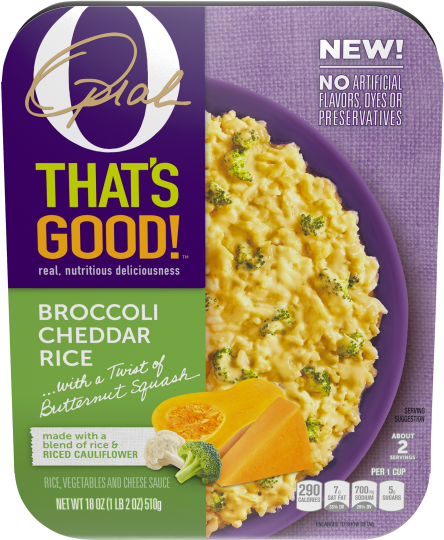 Broccoli Cheddar Rice 18 oz Tray | O, That's Good! 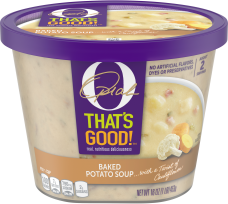 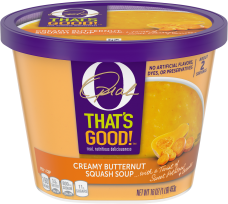 We've replaced some cheese with velvety butternut squash puree, sneaking in a vegetable but keeping all the rich, creamy flavor in every spoonful. 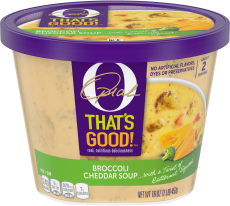 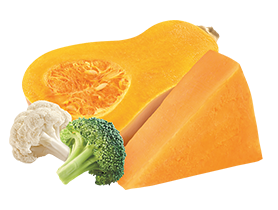 WATER, MILK, BROCCOLI, ENRICHED PARBOILED RICE (RICE, IRON, NIACIN, THIAMINE MONONITRATE [VITAMIN B1], FOLIC ACID), CAULIFLOWER, SQUASH, CHEDDAR CHEESES ([PASTEURIZED MILK, CHEESE CULTURE, SALT, ENZYMES, ANNATTO (COLOR)], CELLULOSE POWDER ADDED TO PREVENT CAKING), ONIONS, COLBY CHEESE ([PASTEURIZED MILK, CHEESE CULTURE, SALT, ENZYMES, ANNATTO (COLOR)], CELLULOSE POWDER ADDED TO PREVENT CAKING), CONTAINS LESS THAN 2% OF CREAM, SALT, GARLIC, CULTURED SKIM MILK, WHEY, CARROTS, SKIM MILK, DEXTROSE, SODIUM PHOSPHATES, WHEY PROTEIN CONCENTRATE, MILKFAT, LACTIC ACID, ONION POWDER, SPICES, CANOLA OIL, CELERY, NISIN PREPARATION (TO PROTECT QUALITY), CALCIUM PHOSPHATE, CARRAGEENAN, CHEESE CULTURE, CELLULOSE GUM, YEAST EXTRACT, ENZYMES.